The council gave the approval during their meeting at the state house in Abuja on Tuesday, January 22nd. Disclosing this to newsmen, the Minister of Labour and Employment, Chris Ngige, said the Federal Government will be topping the approved amount by N3,000 to make it 30,000 for all Federal workers. Following the Council’s approval, a minimum wage bill is expected to be sent to the National Assembly on Wednesday, January 23rd. 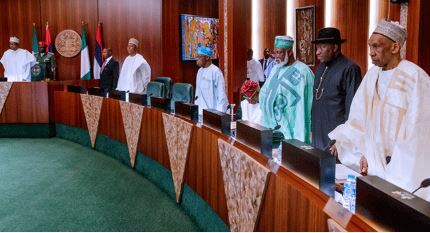 The National Council of State is a body of past and present Nigerian leaders.